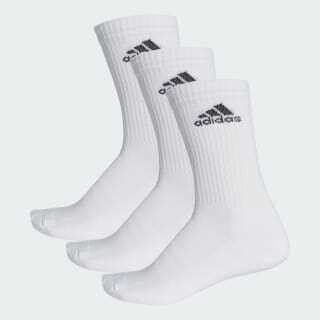 Soft, comfortable training socks for daily workouts. Just like intervals and workouts, you can never have too many socks when training toward your goals. This three-pack of crew socks gives you go-to comfort with an anatomically placed half cushion that supports and protects high-stress areas. They have a soft construction meant for long-lasting wear, arch support and ribbed cuffs.